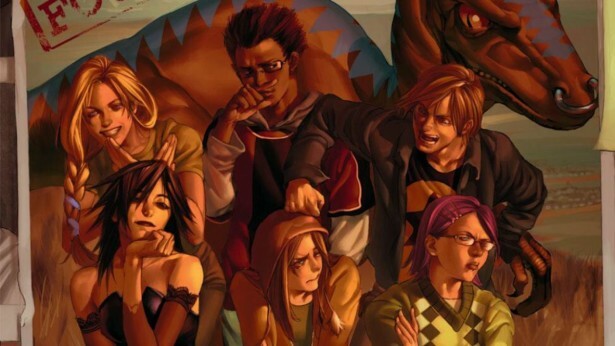 Last week, the Internet lost its collective mind when news broke that Marvel was turning Runaways into a TV series on Hulu. The fan-favorite series, which revolves around a group of teenagers who discover their parents are secretly supervillains, is being adapted by the The OC and Gossip Girl creators Josh Schwartz and Stephanie Savage. While many comic book fans were elated by the news, many others were like, wait, Joan Jett is in the Marvel universe? (To my knowledge, she isn’t.) Don’t worry, though — on today’s episode of The Dan Cave, we’re going to teach you everything you need to know about Marvel’s Runaways, so you can prepare your body, mind, and soul for the awesomeness coming your way in 2017. Editor’s note: this video and post contains spoilers for Marvel’s Runaways, so if you want to go into this TV show completely blind, make like Daredevil and find the nearest hallway. Created in 2003 by Brian K. Vaughan and Adrian Alphona, Runaways is a cult classic comic book series based on a question that nearly every teenager has asked himself or herself: what if my parents were secretly supervillains? Well, that’s precisely what happens to the titular teens at the center of Runaways. When they witness their parents—members of The Pride, a secret cabal that rules L.A. with an evil iron fist—turn what is supposed to be a charity gala into an occult ceremony complete with human sacrifice and ritualistic murder, they freak out and, well, run away. Great question. They are Nico Minoru, Chase Stein, Gertrude Yorkes, Karolina Dean, Molly Hayes, and Alex Wilder. But unlike your average teens, this enterprising ensemble has incredible abilities, powerful gear stolen from their parents, and sweet codenames that they occasionally use. Nico Minoru is the daughter of dark wizards, and is a powerful witch who wields the Staff of One, a powerful artifact that lets her cast any spell, but only once. She calls herself Sister Grimm. Chase Stein, the son of mad scientists, sometimes goes by Talkback and is a mechanical whiz kid who uses his father’s flame-manipulating gauntlets, the Fistigons. Gertrude Yorkes, the daughter of time travelers, calls herself Arsenic and shares a telepathic link with a genetically engineered velociraptor named Old Lace. Karolina Dean, the daughter of alien invaders, goes by Lucy in the Sky and possesses solar-based energy powers. Molly Hayes, the daughter of telepathic mutants, is a mutant with superhuman strength and nigh-invulnerability. She calls herself Bruiser. Alex Wilder, the son of crime bosses, doesn’t need a goofy codename because he’s a baby genius with a mastery of tactics and strategy. Together, they use their newfound abilities and weaponry to try and uncover evidence that will link their parents to the murder they witnessed. Well, quite a lot actually — most of it involves them running away. The police turn out to be no help at all. In fact, their ruthless parents wind up framing their powerful progeny for murder and sic the LAPD on them. While on the lam, the gang manages to decipher a mysterious book known as the Abstract using a special decoder ring that Alex obtained. The book reveals that their parents first formed the sinister syndicate known as The Pride back in 1985 after making a pact with a trio of gigantic, six-fingered monsters known as the Gibborim, who just so happen to be elder gods. You know, like H.P. Lovecraft? Right. That kind of elder god. The Gibborim sought to cleanse the Earth by murdering all of humankind, repopulating it with those of their choosing. To do so, they brought together powerful people from all walks of life and made them an offer they couldn’t refuse: for 25 years, they would have immeasurable wealth and power, which they would use to ready the Earth for the Gibborim to conquer. Except there’s one wrinkle…only 6 members of The Pride would be allowed to live on and rule over their newfound paradise; the other 6 would be obliterated with the rest of mankind. When one member of the Pride accidentally conceived a child, the rest of them decided to have children too, in order to pass on their place in paradise to their next-of-kin. Unfortunately, absolute power corrupts absolutely, which leads to backstabbing, skullduggery, and all manner of murderous intrigue. Let’s just say that things come to an unexpected and brutal head when the Runaways finally confront their parents in the middle of yet another occult ceremony…and not everyone makes it out unscathed. Considering the television pedigree of Schwartz and Savage, Runaways is shaping up to be a diverse, teen-centric drama unlike anything we’ve seen so far in the Marvel Universe. It will almost definitely be connected to the larger Marvel Cinematic Universe, albeit in more tangential ways like Agents of S.H.I.E.L.D. or the Netflix shows. After all, even though the Runaways meet Tony Stark and Captain America in the comics, the prospects of seeing Robert Downey, Jr. or Chris Evans on Hulu are slim-to-none. That being said, it wouldn’t be out of the ordinary to see characters like Cloak and Dagger—who are getting their own TV series on Freeform—to potentially cross over to the burgeoning Hulu-verse. Only time will tell, but considering the strength of the source material, it seems like we’ll have yet another reason to make ours Marvel. 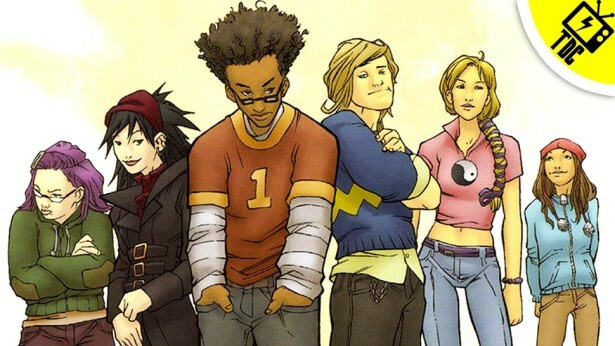 What do you think about the Runaways coming to TV? Who should star in the series? What are your favorite Runaways moments? Let us know in the comments below.